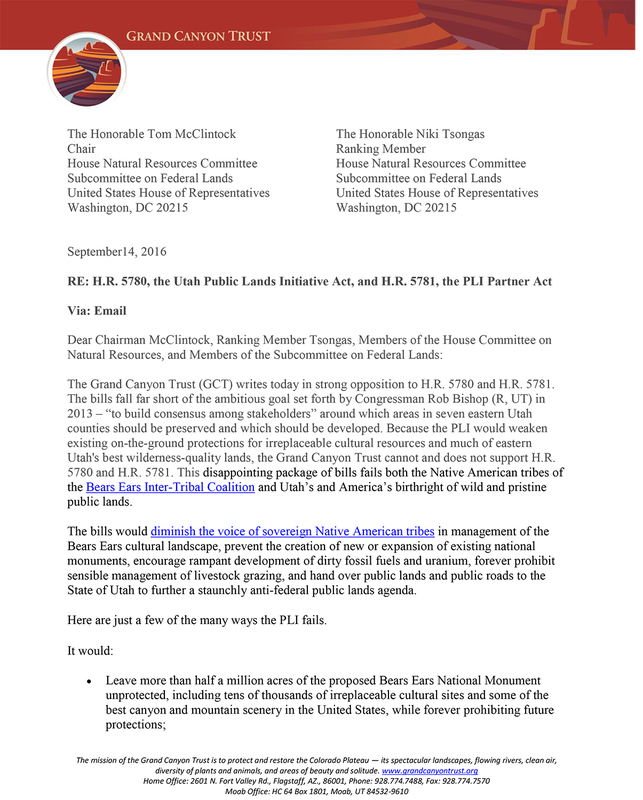 Read the letter of opposition submitted by the Grand Canyon Trust regarding H.R. 5780 and H.R. 5781.